Users create, store, update and forward resumes. Employers search by powerful criteria including location proximity, and maintain favorite candidates, follow-ups, history, etc. Andrew designed and created all active elements and assisted with promotional efforts. 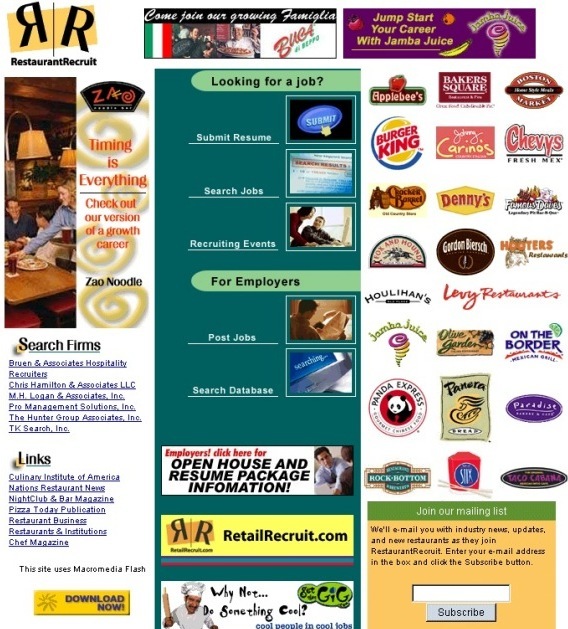 Numerous fast food chains jumped right in to using this as their HR and recruiting front end.